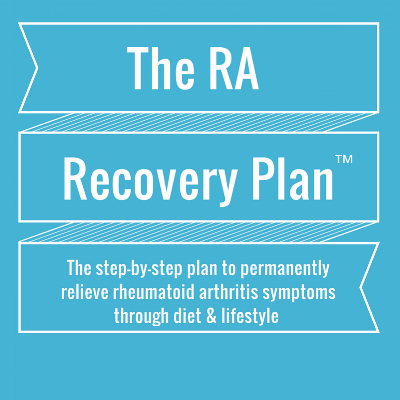 The RA Recovery Plan is the ultimate online program and diet and lifestyle tool for those with rheumatoid arthritis. The total value of this program is well over $4,000! In this program, Wellness Chef and Holistic Nutritionist, Cat Ruehle shares the exact plan and tools she's used herself, and with hundreds of her clients, to heal from crippling rheumatoid arthritis. You CAN recover from RA! Email Cat each week with your questions about diet & lifestyle for RA. Receive tips and guidelines specific to your personal needs. Go deeper and get results faster. Receive support and guidance directly from Cat. This VIP Q&A email service has previously only been available to Cat's private clients paying thousands for one-on-one programs. Each week, email Cat with 3 of your top questions about RA. All members of The RA Recovery Plan will complete a pre-program self-evaluation. But when you go VIP, you will receive an evaluation review and personal recommendations from Cat. Cat will receive and review your pre-program evaluation and provide you with tips and guidelines specific to your personal needs. 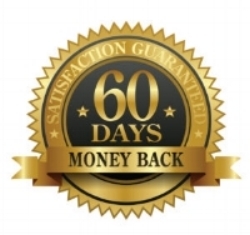 We offer a 60-day conditional money back guarantee, see the details HERE. Yes, I'm a crazy chicken lady! Hey there, I'm Cat! I'm a former classically trained Pastry Chef turned Wellness Foods Chef, Holistic Nutritionist, best-selling cookbook author, and RA advocate. My mission is to help others to do what I have done: permanently relieve the symptoms of RA and other autoimmune diseases through diet & lifestyle measures. When I was hit with rheumatoid arthritis, out of the blue at age 41, I was at the peak of my career. I owned a successful bakery and cake studio and was appearing regularly on Food Network. I was much in-demand from press and media and I was courting multiple book and TV opportunities. I thought I "had it all". RA took it all away in the blink of an eye. My disease shook me up and forced me to look long and hard at my life. I found a new balance and I made new priorities. I overhauled my diet and my entire lifestyle to get myself well. I went back to school to study nutrition. I consulted doctors and experts in functional medicine, Traditional Chinese Medicine, and holistic health. I created a comprehensive plan to heal my body, and in the process, launched a wellness company, A Well-Nourished Life, helping hundreds of private clients recover their health. DISCLAIMER: The information provided by this Web Site or this company is not a substitute for a consultation with your physician, and should not be construed as medical advice. If a condition persists, please contact your physician. This site is provided for personal and informational purposes only. You should always consult with a competent, fully licensed medical professional when making any decision regarding your health. The owners of this site shall not be liable for any damages or injury resulting from your reliance upon any information provided on this site. All rights reserved. No part of this website, publications, ebooks, or videos may be reproduced, transmitted, transcribed, stored in a retrieval system, or translated into any language, in any form, by any means, without the written permission of Catherine Ruehle and A Well-Nourished Life.